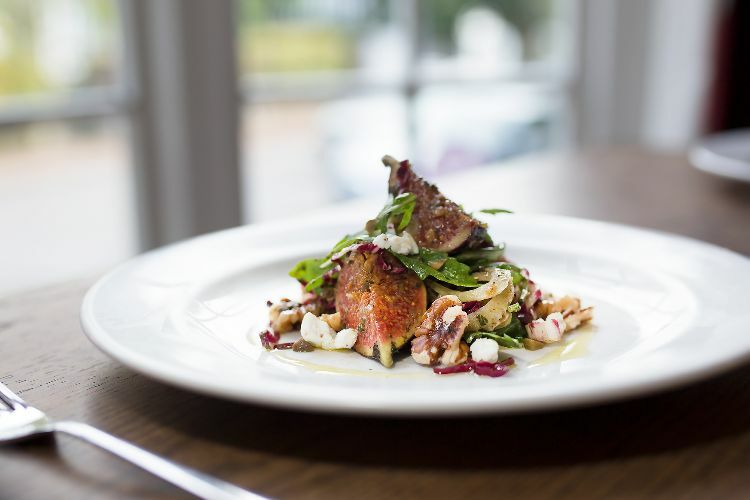 Limes Lindfield is situated on the Linden tree lined high street and nestled amongst an eclectic mix of independent shops and stores in the heart of the charming village of Lindfield. Just 2.2 miles from Haywards Heath and a 35 minute drive from Brighton, Lindfield is a quaint and scenic village with local buildings dating back to the 14th Century and plenty of country walks available in the surrounding area. 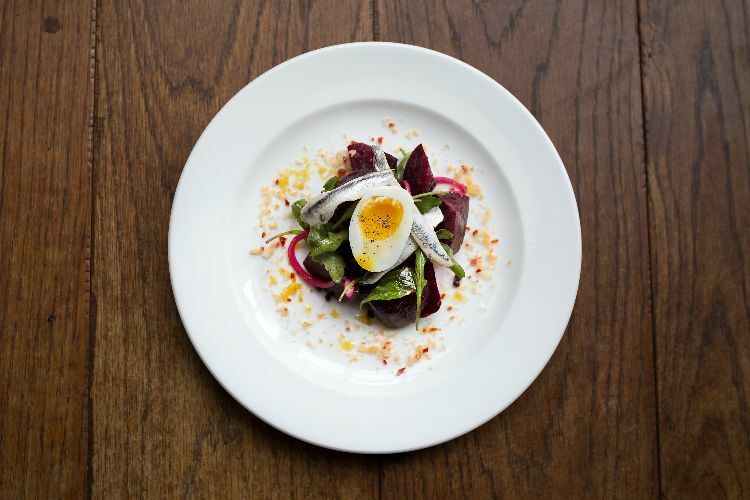 This warm, welcoming restaurant, with hardwood floors, exposed brick walls and a bay window looking out onto the high street, serves a seasonal menu which changes often to make the most of fresh local produce. 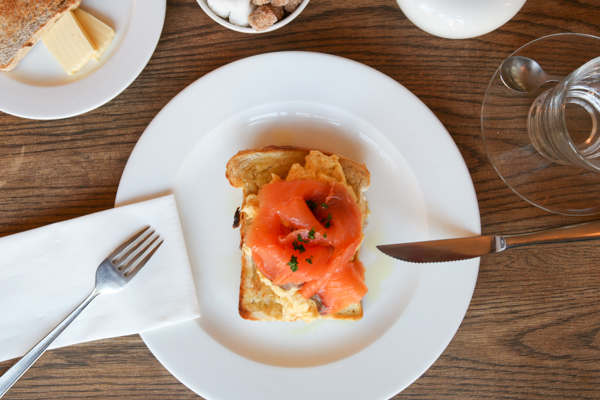 The restaurant is open for breakfast, lunch, afternoon tea and dinner from Tuesday to Saturday and, on Sundays, lunch and afternoon tea is served. On the second Thursday of every month, Head Chef, Patcharee, holds a gluten free vegan feasting night. Serving no less than eleven tasting dishes inspired by her home country of Thailand, with accompanying wines, the menu is completely vegan. 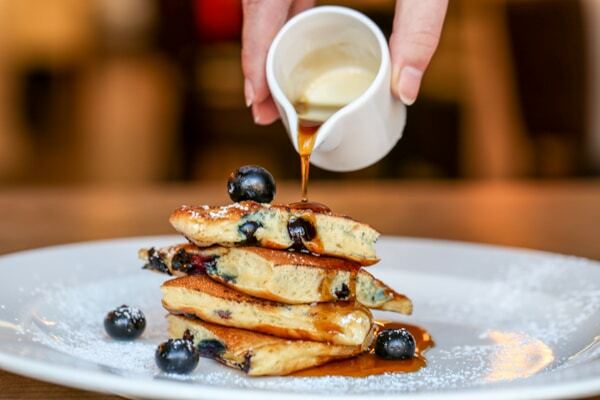 For breakfast, Limes offers something to satisfy everyone; from the classic Full English or Eggs Benedict to the indulgent Big Ben pancake tower with blueberries & maple syrup, the healthy homemade granola, yoghurt & fresh fruit or the vegetarian bubble & squeak, tomato & spinach fry-up. If your preference is for something simpler, then Limes offers teacakes, muffins and a delicious selection of homemade cakes. All this may be accompanied by drink options including freshly squeezed orange juice, milkshakes, energising smoothies or a selection of delicious teas and coffee. 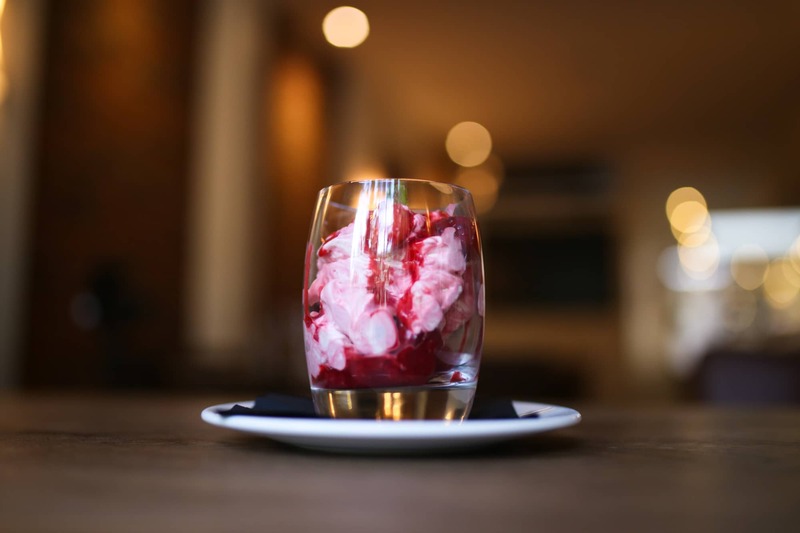 Limes offers a set-lunch menu during the day, from Tuesday to Saturday, exceptionally priced at just £14.95 for two courses or £16.95 for three. The menus at Limes always offer vegetarian and pescetarian options and they also cater to gluten-free and vegan diets. 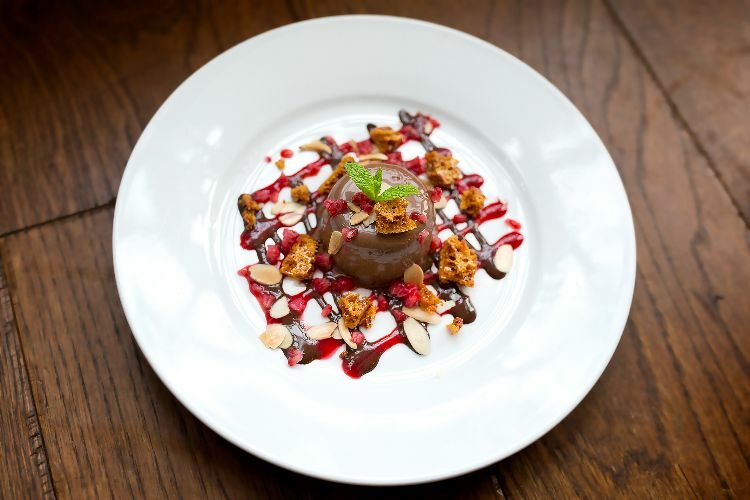 Some of their more popular dishes include the chicken liver parfait with boozy prunes & briôche, the griddled sea bass with chilli, pak choi & sesame oil, and their deliciously creamy lemongrass crème brûlée with mixed berries. If you can’t quite manage a full lunch, the Quick Bites board is perfect for grabbing a bite to eat. From freshly made soup (£3.50), to a minute steak sandwich with homemade horseradish sauce, hand-cut chips & salad (£7.50), these delicious snacks will satisfy you in a hurry. Limes serve a full range of teas and coffees from Tuesday to Sunday, and also display a handsome array of fresh cakes and scones on their counter. 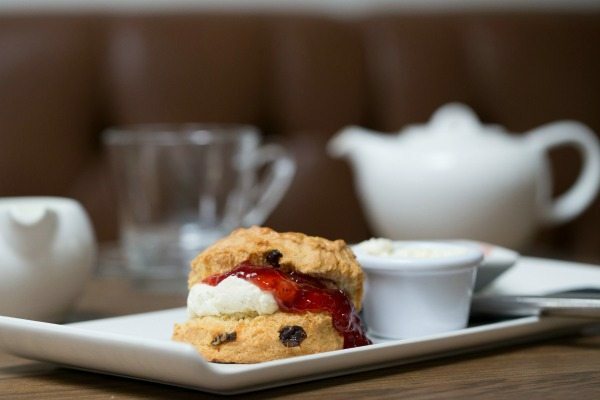 Their Coffee & Cake deal is only £3.00, but they also offer cream teas and an impressive full afternoon tea including finger sandwiches, cake, scone with cream & jam, and a pot of tea for just £6.95. These treats are served until 4:30pm. 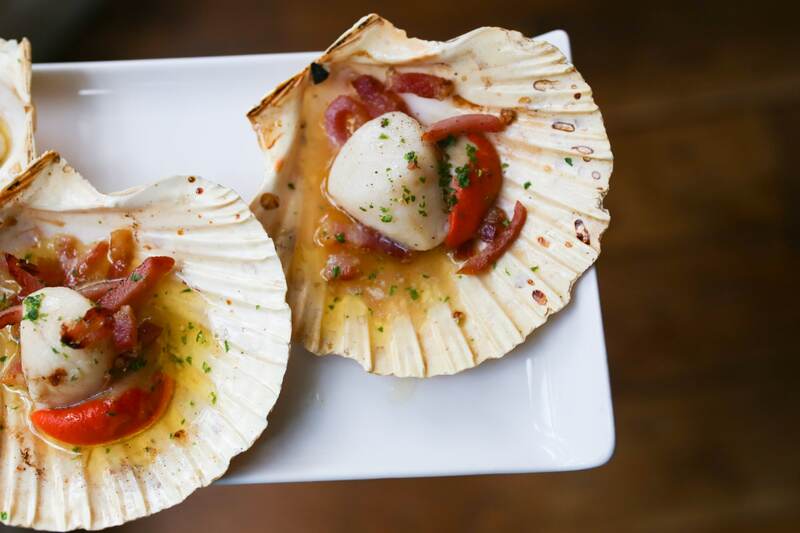 From Tuesday to Thursday, there is a set-menu on offer at Limes, with two courses for just £17.45, and three for £20.95. 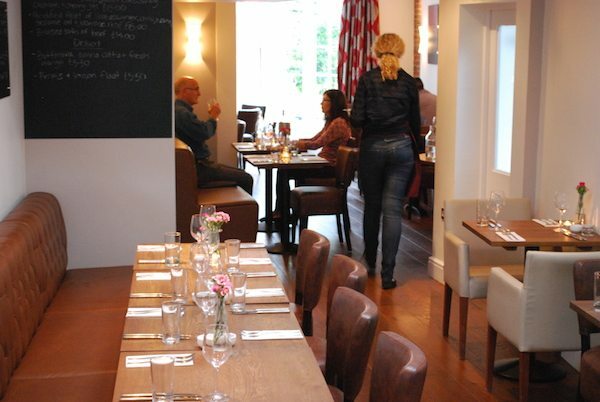 This menu contains many of the same excellent dishes from the A La Carte weekend menu, with additional daily specials. 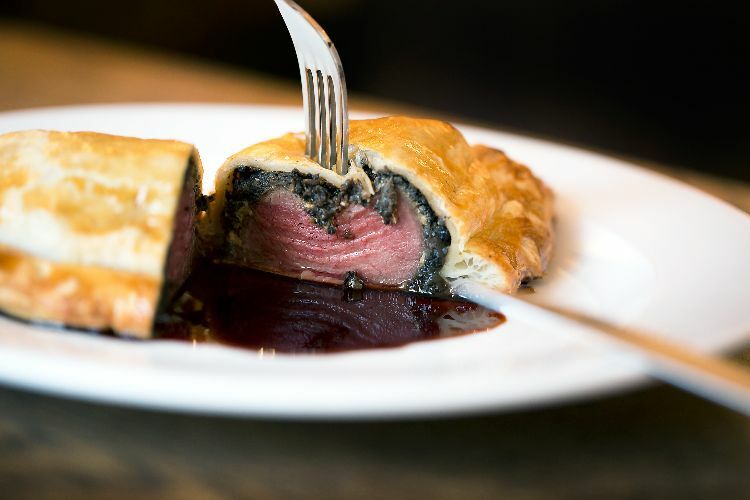 On Friday and nights, the A La Carte and specials menus list a selection of varied and original dishes, including their large rib-eye steak with green peppercorn sauce, mixed herb salad & hand-cut chips. Other dishes may include pan fried pigeon breast, pancetta & croutons, and also a refreshing yet creamy orange & vanilla pot with homemade shortbread. 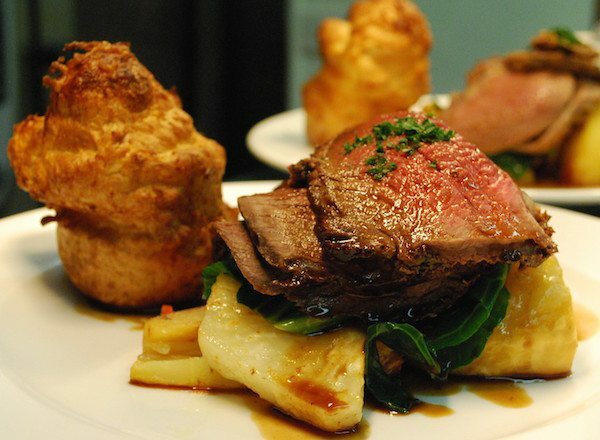 Serving traditional Sunday roasts with all the trimmings, plus alternative vegetarian and fish dishes too, Sunday at Limes is perfect for everyone. 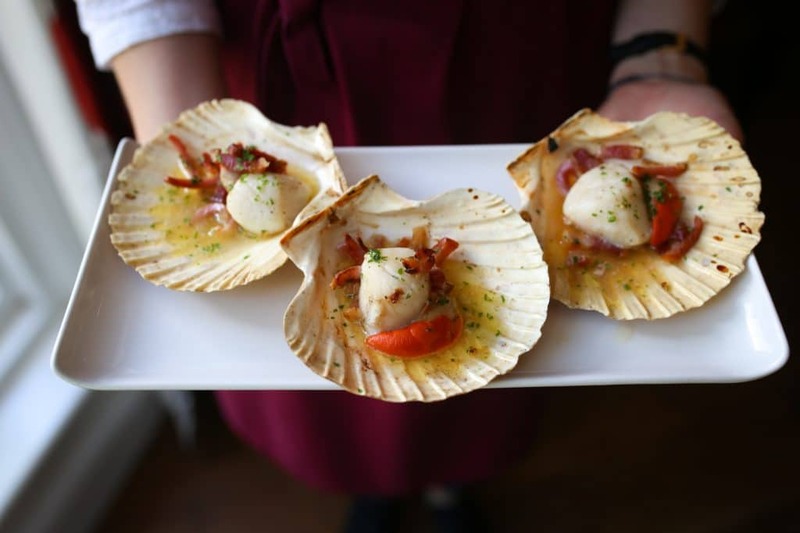 With their competitive set-menu of two courses for £17.45, and three for £20.95, and also a tempting specials board, it’s difficult to resist spending a pleasant afternoon feasting in this country village bistro. 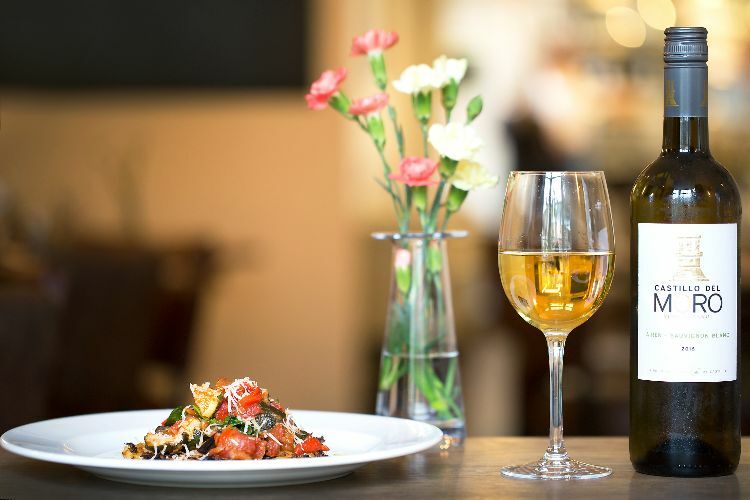 Limes Restaurant is situated in the picturesque village of Lindfield, their lunch menu is definitely worth a drive from Brighton to. 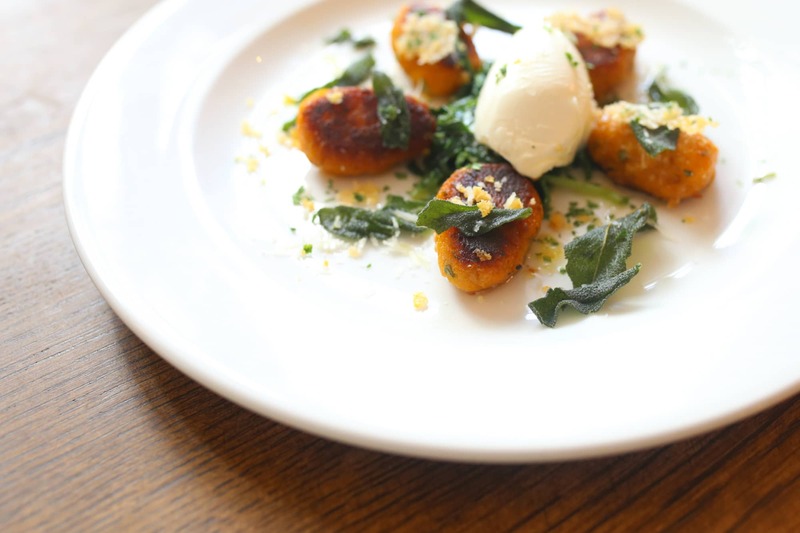 The squash gnocchi has to be one of my favourite things I’ve eaten recently. Definitely a venue to go out the way for with a menu with a difference. 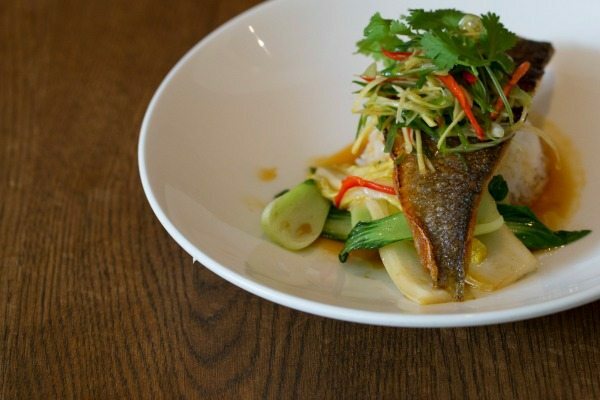 Occasional Asian influences with bistro classics. Great for a trip into the country for breakfast, lunch, afternoon tea and evenings. Warm welcome guaranteed! 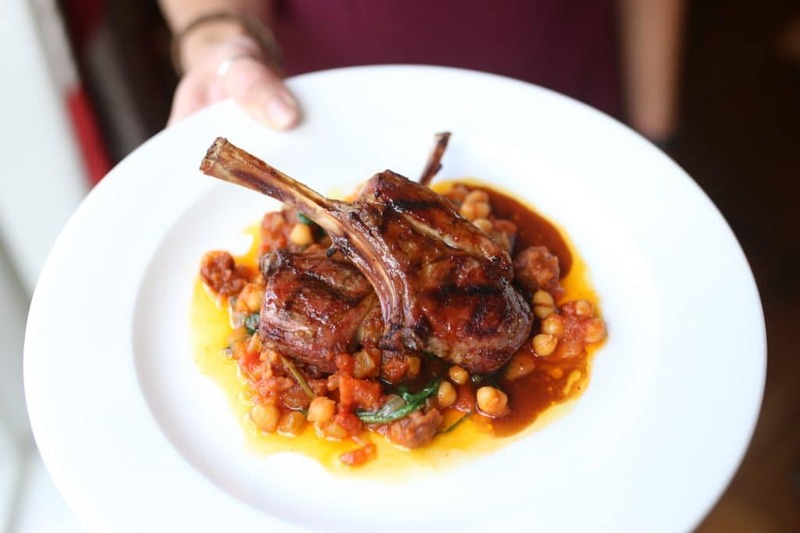 We tried the scallops followed by lamb cutlets. 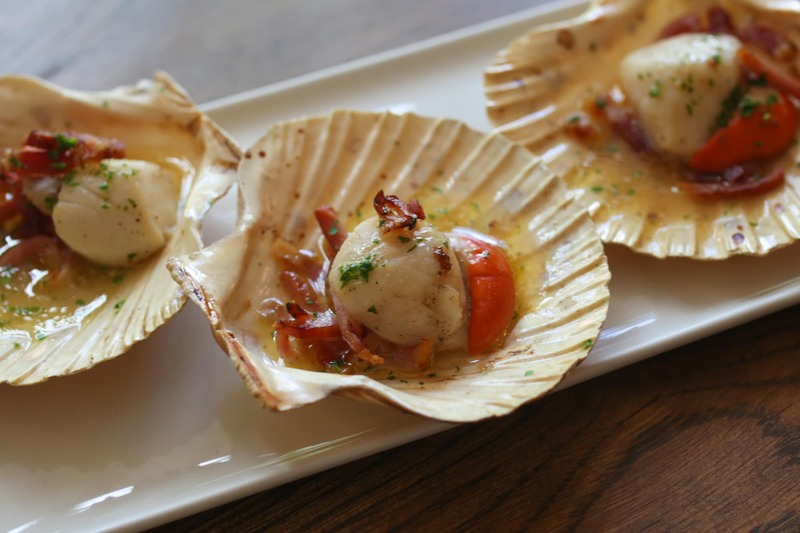 Great varied menu with refreshing intriguing twists to dishes.